She’s alleging she loaned him over $200,000. 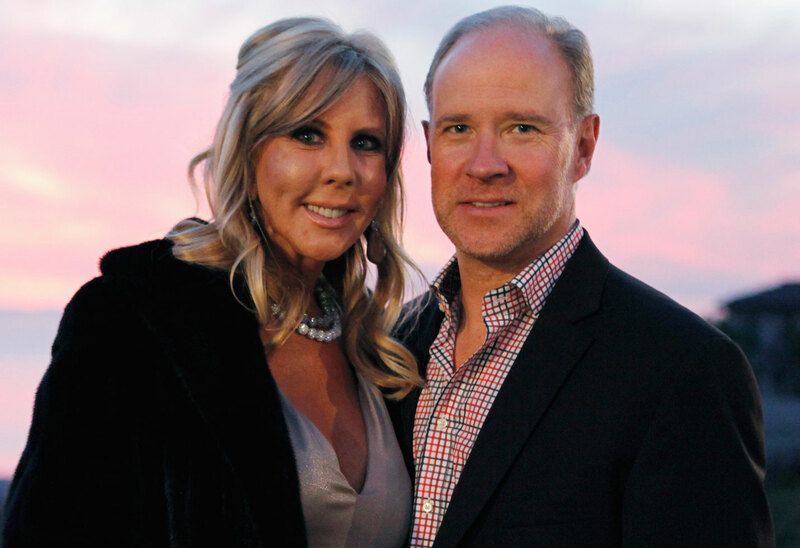 The Real Housewives of Orange County star Vicki Gunvalson is suing her scammer ex-boyfriend Brooks Ayers. Star readers will remember that they broke up in 2015 amid news that he lied about having cancer. Now, she’s filed a lawsuit to get him to repay over $200,000 in loans she claims she gave him. Click through the gallery for all the info. Vicki, 57, broke up with Brooks, 51, in 2015 after four years together. He stirred up tons of drama on RHOC when her cast members accused him of lying about having cancer. It turned out they were correct. But that’s not what the new lawsuit is about. According to E! News, she filed the lawsuit on April 11 for breach of written agreement, breach of verbal agreement, fraud, misrepresentation and other claims over the money he allegedly didn’t pay back. In the documents, she accuses him of not paying back $184,899 she loaned him in 2011. She also claims she loaned him $81,652 for attorneys fees. Vicki is also claiming she suffered damages over $15,000. What do you think of Vicki’s lawsuit? Sound off in the comments!